I was about to say this in another discussion somewhere else, and wondered: do we know that? As in "it's mentioned or at least hinted at in $book $chapter:$verse"? Or is it just a very likely conjecture? Jesus' adopted father Joseph was a carpenter (Matthew 13:55 & Mark 6:3). The Greek word is Teckton which means builder. Now, some say he worked with wood; building tools, doors, shelves, tables etc. = carpenter. Others say because of the region and the resources were rock, and most everything was built from rock, then he built millstones, winepresses, houses, etc. = stonemason. There is no real evidence to clarify exactly what Joseph was a builder of, but we know that he was a Teckton = Builder. Now, in the Jewish culture of that time (1st century) it was required of the father to teach the son their trade at age 12, and find a wife for them around the age of 20. Joseph being very Jewish would have adhered to this practice and began teaching Jesus at 12 his trade of being a builder (Teckton). Given that Israel's buildings were constructed of stones and rocks, Jesus likely worked as a stonemason rather than a carpenter. He probably spent hours helping his father shape and cut stones. The above quoted site is provided by That the World May Know Ministries, and offers a DVD series entitled Faith Lessons, featuring the founder Ray Vander Laan which offers documentary-style on-location Bible studies suitable for small groups. I believe the one that addresses this issue is Life and Ministry of the Messiah, or possibly Walk as Jesus Walked. It has been several years since I've watched these, and I don't have access to them now to confirm. We know that Joseph was a τέκτων (tekton)- traditionally a carpenter but literally, any craftsman who worked with his hands, from Matthew 13:55 (Is this not the carpenter's son?). Traditionally, boys would follow in their father's occupation, hence the tradition that Jesus was a carpenter. Additionally in Mark 6:3, we get the same word describing Jesus himself. (Is this not the carpenter?). Mark is probably the older source ( the Farrer hypothesis ) from which Matthew is drawing. With Matthew's desire to portray Jesus as king, it makes sense that he would prefer to move such a menial task to the dad and let people just assume that Jesus would have been trained up in the family trade. Isn’t this the carpenter? Isn’t this Mary’s son and the brother of James, Joseph,Judas and Simon? Aren’t his sisters here with us?” And they took offense at him. Update: based on comments below, some explanation of the word carpenter. First, that is the word used in various translations, e.g. Amplified, Good News, New American Standard Bible and King James. Secondly, it is true that the meaning has been questioned in some commentaries, where it has been suggested that the word could also mean, craftsman. So, we cannot be 100% sure, but since the church has historically considered Jesus to have been a carpenter, and most or all translations use that, it seems probable. Mark's Gospel clearly states that Jesus was a carpenter (Mark 6:3: Is not this the carpenter, the son of Mary, the brother of James, and Joses, and of Juda, and Simon? and are not his sisters here with us? And they were offended at him.). However, Mark is the only gospel that tells us that Jesus was a carpenter. Matthew's Gospel, in the corresponding passage, only says that Jesus was the son of a carpenter (Matthew 13:55: Is not this the carpenter's son? is not his mother called Mary? and his brethren, James, and Joses, and Simon, and Judas?). In copying from Mark, it should have been easier to retain Mark's words, unless the author of Matthew's Gospel had a reason not to say that Jesus had been a carpenter. The later gospels, Luke and John, make no mention of Jesus being a carpenter or even the son of a carpenter. One theory was put forward by Dennis R. MacDonald in his book, The Homeric Epics and the Gospel of Mark. MacDonald compares Mark's story about Jesus with the Greek epics of Homer, finding many parallels between the portrayal of Jesus and that of Odysseus. Both Odysseus and Jesus were known as carpenters. MacDonald notes that Homer sometimes calls Odysseus 'divine' and 'son of Zeus', labels comparable to those given to Jesus. If MacDonald is correct, Mark's description of Jesus as a carpenter was a literary creation that the later evangelists refused to accept. Perhaps when the first gospel was being written, the author had so little information about Jesus as a person that he felt obliged to fill in some of the gaps. Because of Mark it is more than just a very likely conjecture that Jesus was a carpenter, but because of Matthew, Luke and John it is no more than a conjecture. Then, because of MacDonald's research, it could even be that this was simply a literary mechanism employed in just one of the gospels. Not the answer you're looking for? 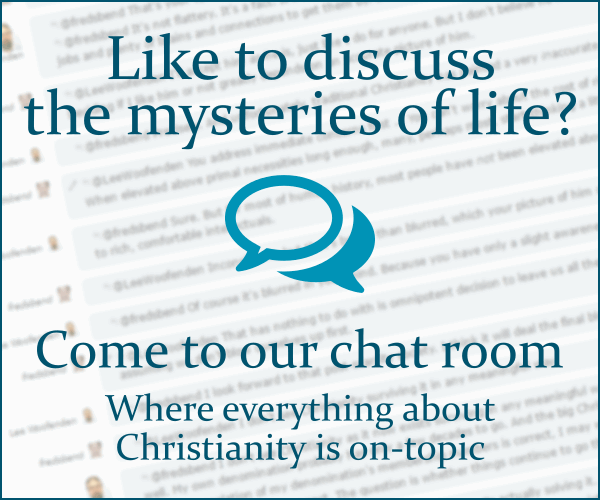 Browse other questions tagged biblical-basis historical-jesus or ask your own question. Is there anything known about Jesus time as a carpenter - was he a small business owner with employees? Was Jesus a carpenter or a rabbi? Is any of Jesus' carpentry still around? What is the biblical basis for believing in the Book of Mormon? According to the Bible, what kind of debt, if any, is lawful? Was Jesus a political revolutionary? A violent one? Is there biblical evidence that God knows my unspoken thoughts?